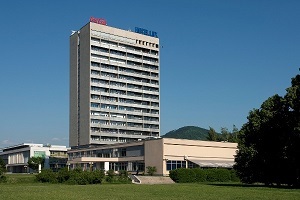 Hotel Lux is located in the center of Banská Bystrica, 300 from the Slovak National Uprising Square. The bus station is 300 meters away and the train 400 meters away. Ski resorts Šachtičky and Selce are located within 8 km. 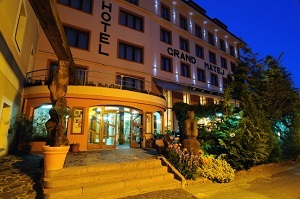 The hotel offers accommodation in 76 rooms and 45 categories Stanard rooms Business category. 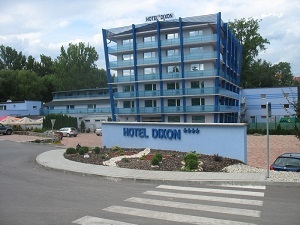 Newly built Hotel Dixon **** is located in a quiet city zone nearby open swimming pool and sport-relaxing area surrounded by enjoyable greens. Congress Hotel Dixon provides comfortable accommodation in 105 rooms and air conditioned suites with standard equipment including SAT-TV and wi-fi internet connection. Total lodging capacity is 251 beds. Národný dom hotel (business class hotel) is the only hotel in Banská Bystrica which is located in the historical centre of the town right next to State opera and is a national monument. Our hotel accomodates up to 81 guests. We offer 3 luxurious apartments, junior suite, 3 single rooms and 33 double rooms. Naturally there are non-smoking rooms and rooms that can accomodate immobile guests as well. 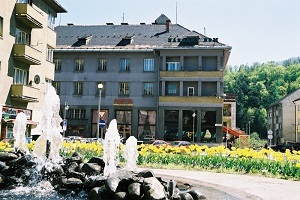 Hotel is situated in the centre of beautiful city of Banská Štiavnica. The hotel offers accommodation in spacious and comfortable rooms that provide comfort for its guests – Companies, hikers, skiers, business travelers or families. There are a total of 41 rooms, including 34 double rooms, 4 single rooms and 3 apartments.